Admitting mistakes is something challenging for many people and they think that hiding their blunders is a good idea. However, they are completely wrong and are doing something disapproving not only with their work but for themselves as well. Admitting mistakes is something positive that motivates you to correct them and try your best not to repeat them in the future. If you are a manager and have done something wrong or have taken a bad decision that went wrong, the best thing on your part is that you should accept it. Take full responsibility of your mistakes at work which will help you gain respect among other staff members. In this way, you will also set up professional standards for others and they will also avoid hiding their mistakes at work. However, it is very difficult to accept your mistakes especially when you are at managerial level. Accepting your mistakes in front of your juniors is something hard as it can make for an embarrassing situation. But it would become more embarrassing if your mistake is caught by your seniors as it will create a bad impression. First of all, be confident and humble at the same time. Accept your mistake by saying that you have done something wrong. In this way you prove that you are a sincere and professional person. 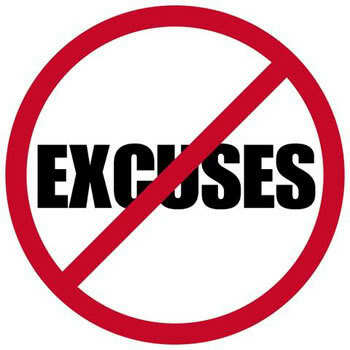 Make sure that you do not give lame excuses by saying that the mistake happened by chance or something like that. It will not convince others and they will not trust you anymore. Along with accepting your mistake, make an official apology to your staff members. Say that you are sorry for making the wrong decision or for committing the mistake. Do not try to put your mistake on anyone else or involve any outside factor. Take full responsibility and show your determination to resolve the problem in time. Accept your mistakes as soon as you discover it. Do not waste time as it can make things worse at a workplace and can cause bigger loss. Try your level best to fix the mistake as only accepting your blunder is not enough to resolve the issue. If you cannot fix the problem, then seek help from others who can assist you in this regard. The most important thing is that learn from your current mistake which will help you to avoid repeating it.